The monthly Five Yellow flies into the most prosperous sector of the year, which diminishes its auspicious energies. It is best to postpone business decisions or the signing of contracts if you reside in this sector. The misfortune star affects the liver and can cause problems with the limbs or tendons. Take care when engaging in physical activity, you may strain yourself. Display the 5 Element Pagoda with water wave here and place a Garuda Wu Lou next to your bed if your bedroom is in the Southeast. Carry an Annual Protection Amulet for protection against bad elements. This is an excellent month for academic achievement and artistic creativity. It also brings the good luck of recognition and promotion. 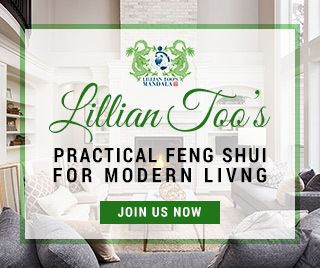 Energise the South of the home with Luo Han with Chi Lin. Writers or students preparing for examinations will benefit greatly from this combination of stars. 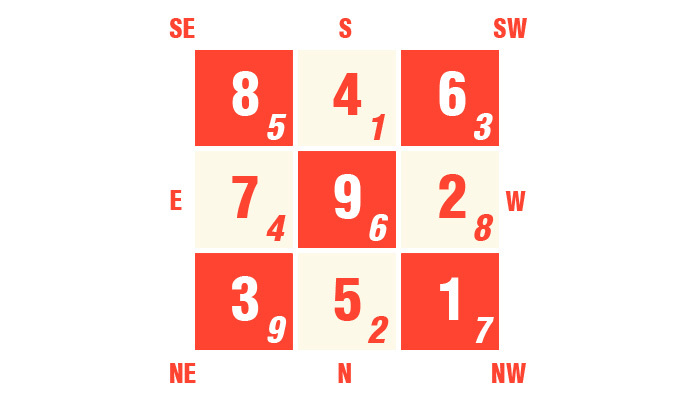 Place the 7 Level Pagoda in this area to boost examination luck. For singles looking for love, this month is excellent for romance. Display a pair of Mandarin Ducks or wear the 2-Eyed Dzi to attract love luck into your life. Do NOT place water here this month. The Star of Conflict pops in for an annoying stopover, bringing discord and tension to the home. Keep this area quiet to avoid aggravating the stars. Place the 4 Seasons Tree Of Life Red Carpet or a pair of bejewelled red fu dogs. Those residing in this sector could find the next four weeks a stressful time. The energies are particularly unfavourable for females. However, there is some speculative luck and possibility of an unexpected windfall. To boost the wealth luck of the sector, use quiet wealth activators, i.e. God of Wealth sitting on Tiger, three-legged toad. Major troubles caused by slip-ups in documentation are likely to plague occupants of this sector this month. These could lead to frequent disagreements and even serious misunderstandings. Display a Blue Rhino & Elephant with Anti-Burglary Amulet in this area to restore harmony. The stars also brings illness chi that affect the tongue or liver. This sector is particularly harmful for males, who should stay away from this sector this month. Let them carry a health amulet to protect against illness. This month, occupants of this sector may receive an unexpected windfall. The stars bring good news when it comes to money matters. Enhance the positive energy here with 6 Metal Gold Coins or the 3 Great Emperors on Horseback to boost prosperity luck. Illness chi causes problems affecting the stomach. If your bedroom is located here, display Medicine Buddha by your bedside to ward off illness chi. This combination of stars may cause disagreements between the young and old. Use Yin Water to reduce friction of this kind. The Sum-of-Ten combination in this sector brings money rolling in for a good few weeks! Occupants are likely to achieve financial success after a bad month, especially in the accumulation of properties and assets. 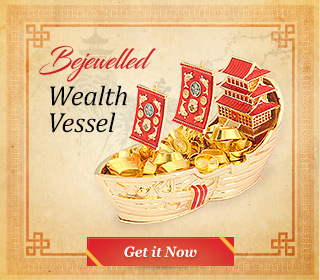 Display the 5 Dzambhala and wealth chest to harness the prosperity chi of the sector. This will also help bring more opportunities to boost your income and career. There may be occasional illness spells, but these should be very minor. To stave off illness chi, display Medicine Buddha’s plaque. If your living room is located in this sector, keep it brightly lit, as the stars indicate the likelihood of big quarrels within the household. Display a pair of Bejewelled Red Fu Dogs here to keep the negative chi under control. The energies of conflict and disagreement are expanded by the monthly star, so occupants may be troubled by quarrels, which can lead to lawsuits. Do not burn candles or oil lamps here, as there is danger of accidental fires. You can also place a pair of golden pear here to enhance new prosperity luck. There are extremely inauspicious energies brought by the illness stars this month. They bring misfortune and sickness of a serious kind. Place a Garuda Wu Lou by your bed to protect from getting sick. Do not take chances this month. If you fall ill, go see a doctor! Bad business decisions could result in financial ruin and occupants may suddenly develop an incurable disease. Move to another room if you can. Avoid open fires as these could result in accidents. Use a 5 Element Pagoda with water wave to press down on the bad luck. The robbery and violent star brings loss of wealth for occupants of this sector. Place the Rhino and Elephant Mountain with amulet here to protect against robbery. If your bedroom is located here, carry an Anti-Burglary Amulet for protection. Avoid hanging windchimes or any other metal ornaments here, as there is possibility of injury caused by metal instruments. There is indication of cut-throat competition and politics at work. Display Kuan Kung for solid support from superiors and a Victory Horse to enable you to overcome whatever competition you have to face. Next articleGetting ready for the EARTH BOAR YEAR of 2019!